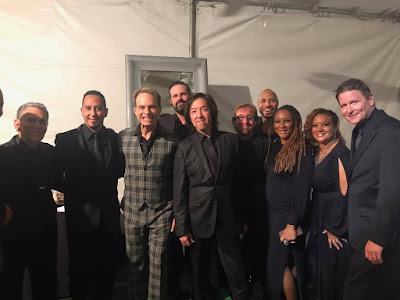 David Lee Roth performed at a benefit for the Brent Shapiro Foundation at a private estate in Beverly Hills, CA on September 9, and video from the event is streaming online. Hosted by actor Mario Lopez, the “Summer Spectacular Under The Stars” event raised more than $1 million for drug awareness and prevention programs by the Brent Shapiro Foundation. The foundation and its signature Brent's Club program works in conjunction with The Boys & Girls Club Of America to provide incentives for kids to abstain from drugs. Roth’s appearance marks the first live action from a Van Halen member since the group closed out their North American tour in support of “Tokyo Dome Live In Concert” with a pair of shows at the Hollywood Bowl in October of 2015. While there’s been no update on activity within the Van Halen camp for some time, bassist Wolfgang Van Halen recently shared a brief audio clip of music from his forthcoming debut solo album, although no timetable for the project’s release has been revealed to date.